Reflecting on Google’s power: a case for regulation? 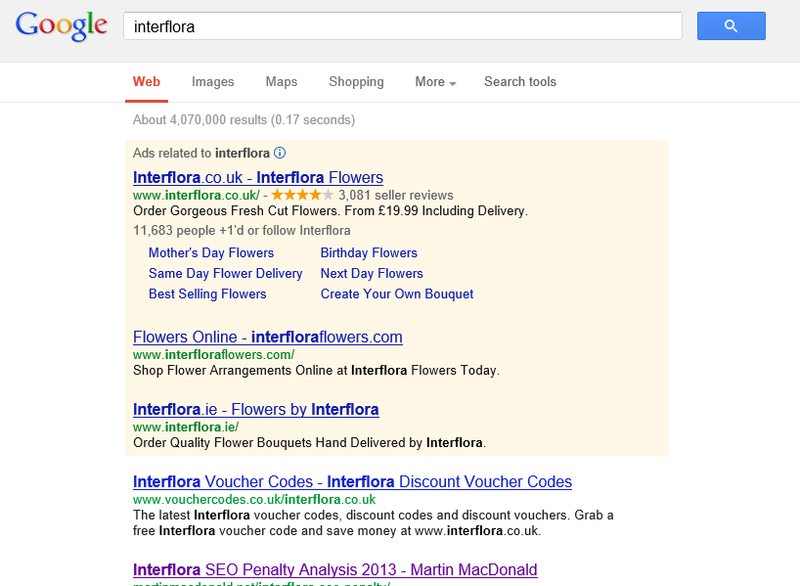 Searching for the terms [Flowers], [florist], [flower delivery], [flowers online] and hundreds of other related search terms yielded the interflora.co.uk domain in first place – until yesterday afternoon. Now the website does not even appear for its own brand name. We do take this issue very seriously, so we recommend you avoid selling (and buying) links that pass PageRank in order to prevent loss of trust, lower PageRank in the Google Toolbar, lower rankings, or in an extreme case, removal from Google’s search results. I find this troubling. Here are a few statements (some may be contentious) that taken together will, I hope, express why. 1. Google has a market-dominating position in search, certainly in the UK. 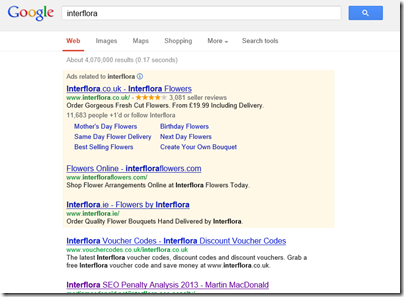 With good reason, users wishing to visit Interflora’s site are more likely to type “interflora” into a search engine, probably Google, then to type the URL directly. The combined address bar and search box in most browsers encourages this. Many users probably do not appreciate the difference. Of course they might also type “order flowers” into the box, delegating to Google the responsibility for finding suitable sites. 2. In consequence of 1, Google has direct and immediate power over the amount of business that will be achieved by a company trading online. In some cases that might be make-or-break, in some cases not, but it is a significant influence. 3. A further consequence is that Google’s search and ranking algorithms form an incentive to businesses to do all they can to climb higher in the search ranking. Since this appears to be influenced by incoming links (though probably less so than it once was) Google’s algorithms attempt to judge which incoming links are meaningful and which are not. Paid links fall into into the latter category, hence the guidelines which prohibit them. 4. Despite (3) above, the internet is infested with paid links and link exchanges. Even running a small site like mine, I get thousands of paid link and link exchange requests every year. The implication is that Google is not all that good at ignoring and/or penalising them, otherwise the activity would cease. 5. Worth noting: web site owners are free to accept paid links and vendors are free to buy them. They are not doing wrong. The only disincentives are first, whether you want to fill your site with worthless links, and second, whether you will be penalised by Google for doing so. 6. Google’s process for determining whether or not a particular web destination is down-ranked is not transparent. This is for good reasons, insofar as a transparent process would arguably be easier to game. On the other hand, this also means that a business which is penalised has no recourse other than to plead with Google, unless it felt inclined to experiment with legal action (prohibitively expensive and uncertain for most). It is not clear to me that this intermingling of paid and organic results is in the user’s best interests. 8. It is also obvious that advertising in this form is more important in cases where a business is absent from organic search results. 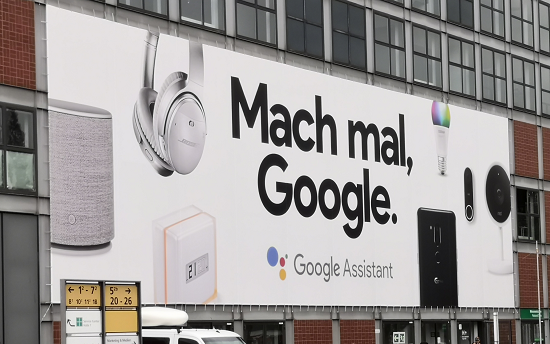 It follows that Google has a direct incentive to penalise businesses by downranking them, since it has the potential to bring more advertising business. Please do not misunderstand: I am not accusing Google of doing this and have no reason to believe that it does. 9. Users of Google will be grateful that it attempts to improve the value of its search results by reducing the influence of meaningless incoming links. On the other hand, I find it difficult to understand why a user who typed “interflora” into Google would not want to see the official site at the top of the list, since it is a legitimate business and not in any sense malicious. Of course they do in fact see this, judging from my own experiment minutes ago, but it is an advertisement and not an organic link. The top organic link is not Interflora’s own site. 10. Pause for thought: what would be the effect on Google’s business if it put ads below organic search results rather than above? 11. The only rationale for (9) above is that Google considers it worth inconveniencing its users (presuming you do not accept that it simply wants to sell more ads) for the sake of the higher objective of penalising sites which, in its view, breach its guidelines. 12. We all have a choice whether to use Google or not; but this choice is not one that fixes the problem. The problem, rather, is the choice which our customers or potential customers make, over which we have no control. 13. It is a company’s duty to maximize returns to its shareholders. Making a profit is not wrong, and Google is entitled to design its search algorithms and web site as it wishes. 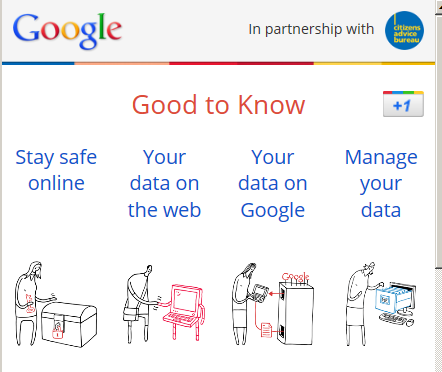 None of the above is intended to imply that Google is doing wrong. 14. Despite (13) above, the combination of this concentration of power in a single business entity, the lack of transparency in its procedures, and the difficulty smaller businesses (in other words, almost everyone else) have in fixing issues, is something I find troubling. 15. It is also worth noting that the power of a dominant search engine goes beyond SEO (Search Engine Optimization). There is a long-standing debate over how easy it should be to find sites which offer illegal music downloads, for example. Another recent case I encountered showed how Google can make it hard to find a business in the real as well as the online world. I also note the influence of search engines on education, as the first destination of students and pupils looking for answers, and on human knowledge in general. These issues are both complex and important. Should Google be regulated? 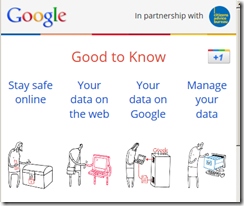 Should all search engines be regulated? I do not know the answer, but believe that the question merits wider discussion. In this instance, it is not obvious to me that the free unregulated market will achieve the best outcome. I picked up a Guardian newspaper today and could not miss the full-page Google+ advertisement. Or was it? 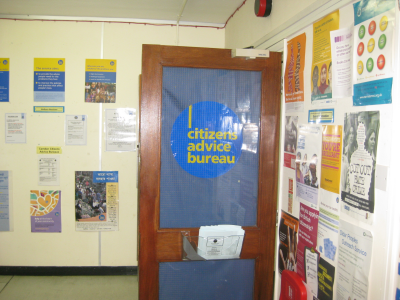 The advertisement stated that it was from the Citizens Advice Bureau in partnership with Google. 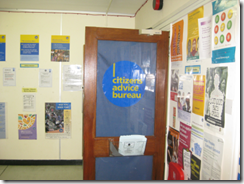 The Citizen’s Advice Bureau (CAB) is a well-respected (and genuinely useful) service which runs a network of offices in the UK where you can go for free advice for things like legal or financial problems. It is a charity funded partly by government grants. 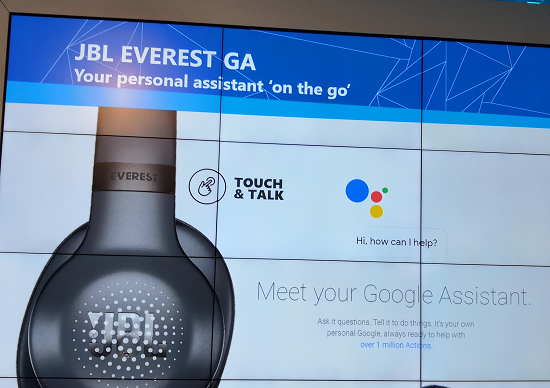 What is it doing partnering with Google? Well, I presume it is because the theme is “how to be safer on the Internet” which is something that I am sure the CAB cares about. 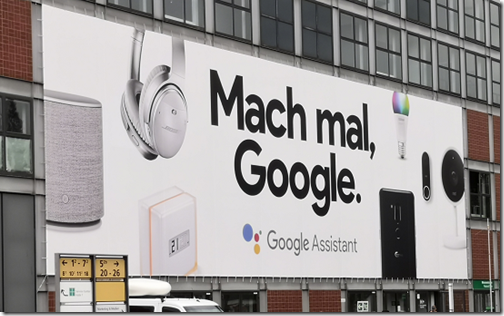 However looking at the advertisement it would be easy to conclude that the CAB is somehow promoting Google+, the social networking site that Google hopes will rival Facebook. Intriguing. I wanted to see this booklet, so I looked into the Holborn CAB in London. I have to say that the aforementioned booklet was not exactly strewn about. In fact, the woman on the desk wasn’t sure if they had any. She went and looked though, and came back with the web address. Perhaps I could go there? I said I was keen to see the booklet the CAB was handing out – did it exist? Eventually I was told that they did not have any, but that the head office in Pentonville Road might. So I went there. The man at the desk was not sure, but went away for a moment, and came back with one in his hands. We have partnered with Citizens Advice to provide tips and advice. You can get free, confidential and impartial help about everything from finances to staying safe online from your local bureau in person, on the phone or online. For in depth information on all of the topics in this booklet and more, visit the Good to Know website. I think this is a PR triumph for Google, but I reckon the CAB has been sold a pup. It is not that I have anything against Google; but I would go to Google for impartial advice about staying safe online in the same way that I would go to a ferry company for impartial advice on cheap flights. There is little sign of impartiality in the booklet. Personally I would say that a booklet on “how to manage the information you share online” that does not mention Facebook is in chocolate teapot territory. 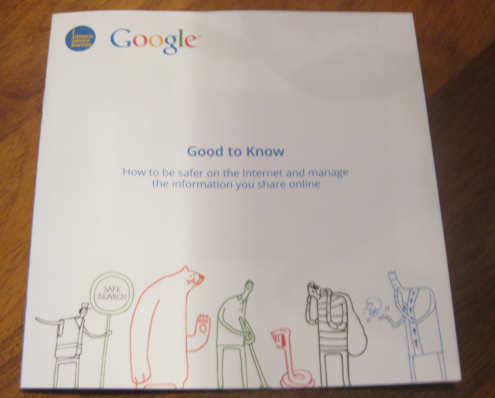 This booklet achieves this though; in fact the only web site mentioned is … Google. “Keep your Google Account extra safe,” it says. 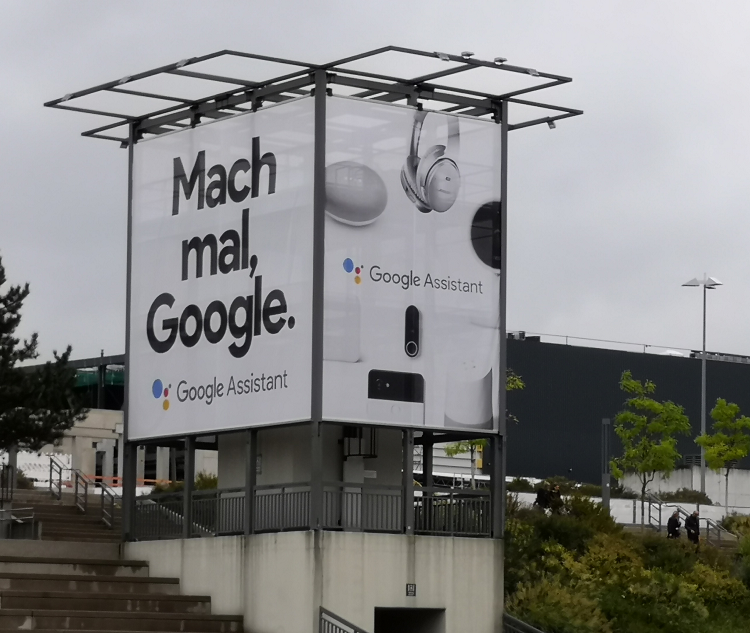 But how about not having a Google account? No account, no personal details to lose. This is stealth advertising – except that I am not sure about the stealth. 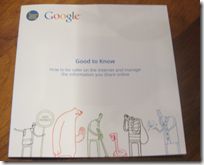 A substantial portion of the booklet is devoted to explaining why Google having my data is really good for me. “How knowing you better makes your internet better,” it says. There is no mention of the benefits of using an ad-blocker to avoid sending data to advertisers. Nor does it include advice on simply not putting data online at all, if it might embarrass you or compromise your safety. The reason is that Google cannot possibly be impartial about managing online information. 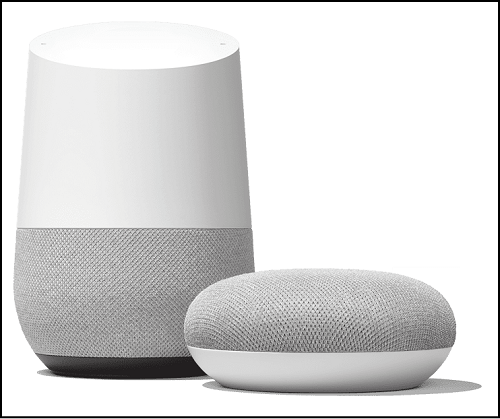 Google wants your data, as much of it as possible, in order to target advertising. It is as simple as that. Which is why Google is an uncomfortable partner for the CAB. I think the CAB could do with some impartial advice. Searching Google recently it struck me that I rarely see results from Experts Exchange. I used to see a lot of these, because I typically search on things like error messages or programming issues for which the site is a useful source. The site is controversial, because it (kind-of) charges for access to its knowledgebase but does not pay its experts. I posted about this back in 2009. That said, the quality of its advice is often good, and most answers are available without payment if you scroll far enough down the page. You can also get free access as an expert if you answer a few queries successfully. Experts Exchange has to some extent been replaced by the StackOverflow group of websites, which are nicer to use and free, but I have found that the chances of getting your obscure query answered can be higher on Experts Exchange, particularly for admin rather than programming queries (of course for admin I am comparing with ServerFault). Still, I wanted to test my perception that I no longer see Experts Exchange results in Google. I had a look at the Alexa stats for the site. Wow! 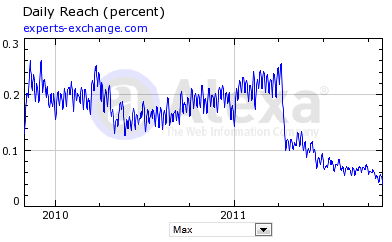 That vertical line is around April 2011, which is when Google rolled out its "High Quality Sites Algorithm". The site still ranks in the top 3000 in the world according to Alexa – 2787 at the time of writing – but according to the chart it lost around 50% of its visitors then, and has since declined further. As noted above, the site is controversial, but I personally never minded seeing Experts Exchange results in my searches since the advice there is often good. The bit that disturbs me though is simply the power Google has over what we read on the Internet. I appreciate the reasons, but it is not healthy for one corporation to have this level of influence, especially bearing in mind the black box nature of its workings. Just one week after the final release of Microsoft’s Internet Explorer 9, and here comes another major browser, Mozilla Firefox 4. I was disconcerted not to find the Tools menu here and one of the first things I did was to show the menu bar, though it does spoil the new UI design. 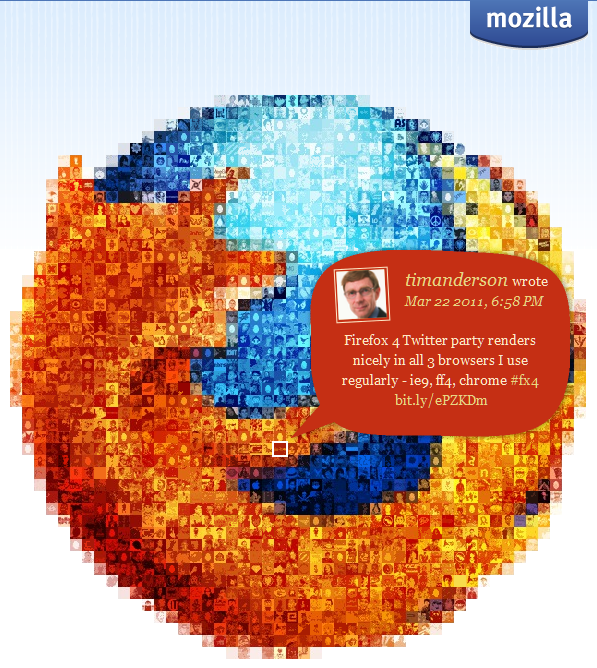 Firefox is also coming to Android and Maemo devices, and a great feature called Sync will synchronize bookmarks, tabs, passwords and history across all the devices you use. There is also a new privacy feature called Do not track. This is a way of telling websites that you do not wish to be tracked. Tracking is used by web advertisers to send ads based on your browsing history as seen by that advertiser. Since many websites have scripts served by the same ad agency, this can be considerable. The feature does not block tracking, but only requests not to be tracked. It is off by default and buried in Advanced options, so will probably not be very effective. 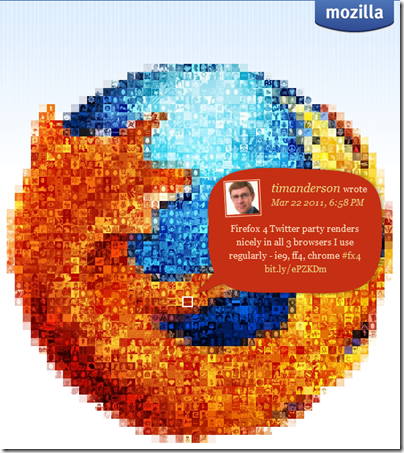 Firefox is an excellent browser, with many more features than I have mentioned above. A few observations though. 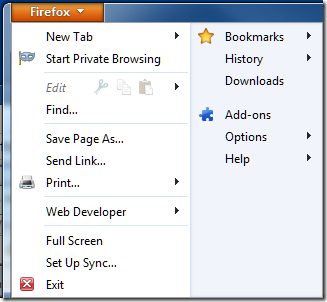 The new features in Firefox 4 echo many of the few features in Internet Explorer 9, which in turn echoes some of the themes in Chrome. However on my system IE9 seems to be a little faster than Firefox 4, the user interface is more polished in my opinion, and the tracking protection in IE9 is more effective since it does actually block tracking. 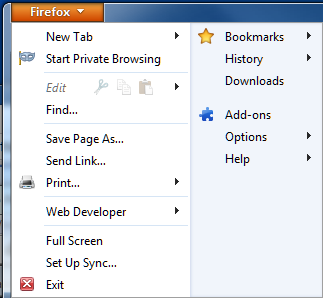 Then again, there are Firefox add-ons that also block tracking; and in general Firefox seems to have the best range of available add-ons, which could well be the deciding factor for many users. Firefox 4 still has a separate search box, and in principle I like this. I find it annoying that IE9 and Chrome intermingle searches and URLs in one box. I suspect though that I am in a minority of users. If you switch between browsers, you can find yourself typing searches in the Awesome Bar anyway, though habit, so I am guessing Mozilla will cave in and combine them eventually. Mozilla is a non-profit organisation with a strong open source and community ethos and that also may be enough reason to use Firefox. search functionality included in our Firefox product through all major search partners including Google, Yahoo, Yandex, Amazon, Ebay and others. which in practice is mostly from Google, which has a competing browser. and a pretty download stats counter which is currently on 2.75 million and climbing fast. Google has made a change to its search algorithm that means most of the results shown for a search may now come from a single domain. Previously, it would only show a couple of results from one domain, on the assumption that users would prefer to select from a diversity of results. 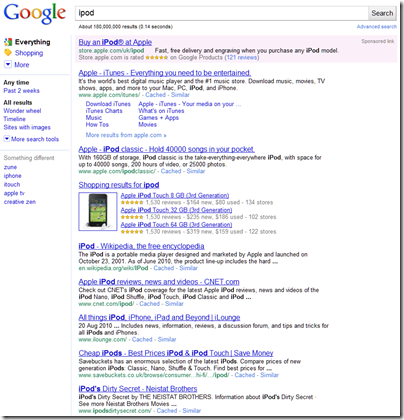 The example chosen by searchengineland is a good one. 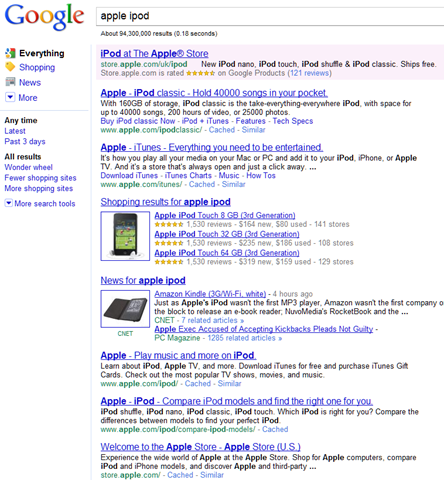 Search for Apple iPod and you get a page that is mostly links to Apple’s site. If you search for the single word ipod you get more diversity – odd, since only Apple manufacture the ipod so you could argue that the searches are the same. Some people use ipod as a generic name for MP3 player, but that doesn’t seem to be reflected; all the results still relate to Apple’s device. Personally I’d rather see diversity. I don’t see the need for this change, since the site summary with deep links works well when a particular domain closely matches the search term. 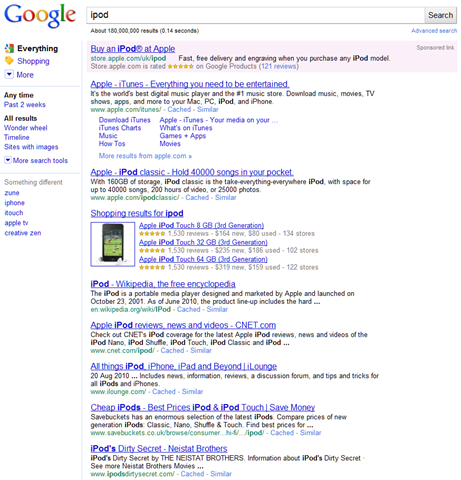 You can see an example of this in the top result for the ipod search above. Note that it even has a link for “More results from apple.com”. What is the value of suppressing the results from other domains? The overall impact is that big brands benefit, while smaller businesses and new entrants to markets suffer. It also makes independent comment that bit harder to find. While to most of us changes like these are only of passing interest, to some they make the difference between a flourishing business and a dead one. Google has too much power. Incidentally, I generally find Google significantly better than Bing, now its major competitor. However in this case Bing impresses, with categories such as reviews, prices, accessories, manuals and so on; and in the case of the Apple ipod search, a better balance between the official site and independents. 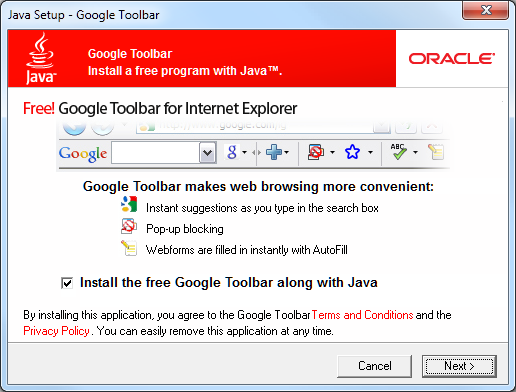 Oracle may be suing Google over its use of Java in Android; but the company is still happy to take the search giant’s cash in exchange for foisting the Google Toolbar on users who carelessly click Next when updating their Java installation on Windows. 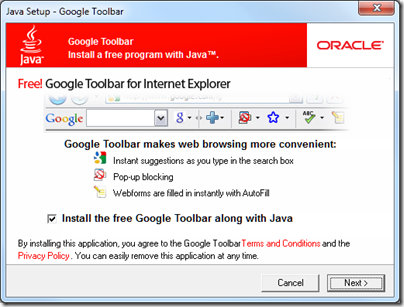 If they do, the Toolbar is installed by default. This is poor practice for several reasons. It is annoying and disrespectful to the user, particularly when the same dialog has been passed many times before, bad for performance, bad for security. Sun at least had the excuse that it needed whatever income it could get. I know certain other companies do this as well with their free runtimes – Adobe is one – and I like it just as little. However, as far as I can recall Adobe only adds foistware on a new install, not with semi-automatic updates. Yesterday’s Google I/O was remarkable for several reasons. 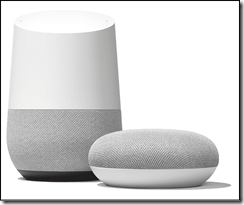 The most significant was not a specific technical announcement, but rather the evidence for a successful Google-led alliance against Apple in the mobile device market (and perhaps also in home entertainment with Google TV). 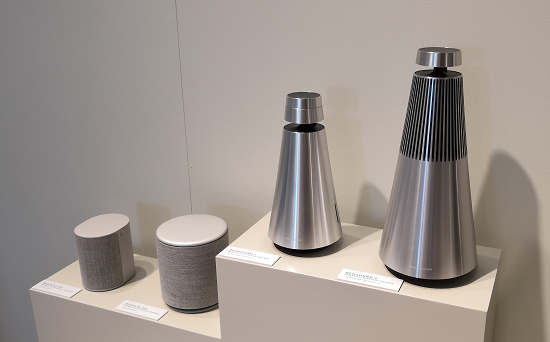 Apple has hardly put a foot wrong since Jobs rejoined the company in 1996 – well, aside from a few minor lapses like the iPod Hi-Fi. With steadily increasing sales for the iPhone, it was beginning to look as if Apple would do to the mobile phone market what it did to the market for portable MP3 players, including the all-important App Store. 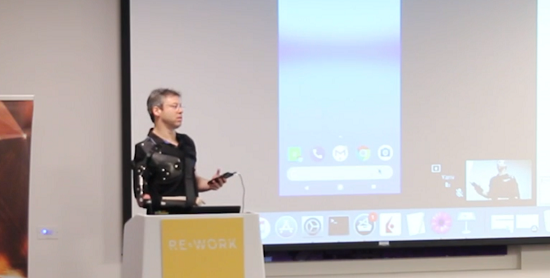 In some ways the details do not matter; what does matter is that Google persuaded the world that Android mobiles would be more than a match for iPhones, but without the Apple lock-in, lock-out, and censorship. Support for Adobe Flash is almost more a political than a technical matter in this context. I cannot help wondering whether Microsoft is working on Silverlight for Android; it should be, but probably is not. The Mono team on the other hand is there already. Apple now has a bit of a PR problem; and while I am sure it will ride it out successfully and impress us at WWDC next month, the fact that it has a PR problem at all is something of a novelty. 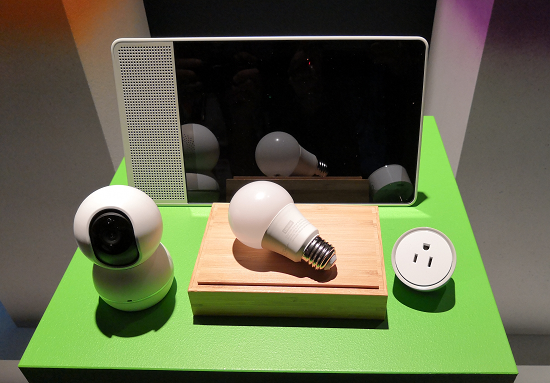 Next came Google TV, with which I was less impressed, and not only because the demos were shaky. I understand the thinking behind it. You could almost see the $ signs revolving when Google mentioned the $70 billion annual spend on TV advertising. Google TV adds an Android device and internet connection to your living room television set, bringing YouTube to the largest screen in the house, enabling web browsing, and opening up interesting opportunities such as running Android apps, combining TV and web search, and overlaying TV with social media interaction. It sounds good; but while I am a firm believer in the Internet’s power to disrupt broadcasting – especially here in the UK where we have BBC iPlayer – I am not sure that injecting the Web into TV like this is such a big deal. In fact, games consoles do this already. Sony’s Howard Stringer was at Google I/O to support the announcement, which has his company’s participation, but a PS3 already offers BBC iPlayer, Adobe Flash 9, and a basic web browser. 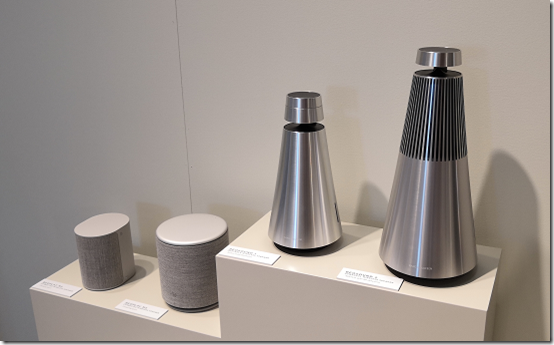 I use this from time to time and enjoy it, but a TV is not great for web browsing since you are sitting at a distance, and wireless keyboards are a nuisance kicking round the living room – we tried that for a while with Windows Media Center. Activities like online shopping or simply Tweeting are easier to do on other devices. Maybe it is just waiting for the right implementation. If it does take off though, I will be interested to see what the broadcasters think of it. 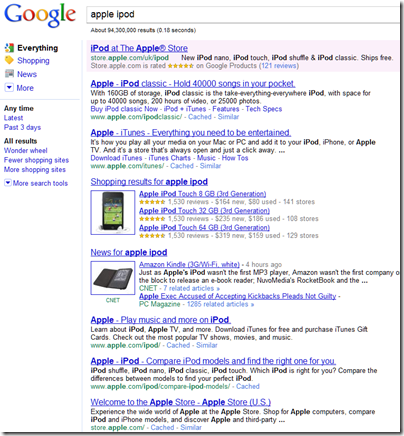 What if Google manages to serve contextual ads based on the content you are viewing? That would not please me if I had invested millions in creating that content, specifically in order to attract advertising. 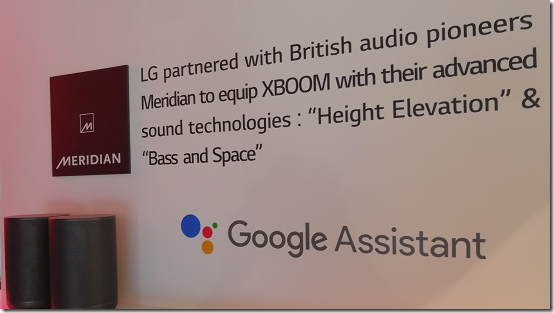 It may be developers that make or break Google TV. Add a few compelling apps that work best in this context, and we will all want one. 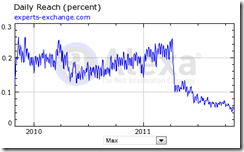 Google flexes page rank muscles, hits Daily Express? It’s been reported that the Daily Express newspaper is selling paid links, in other words links that look to Google’s web crawler like links from independent editorial, but in fact are paid for by advertisers. However, some SEOs and webmasters engage in the practice of buying and selling links that pass PageRank, disregarding the quality of the links, the sources, and the long-term impact it will have on their sites. Buying or selling links that pass PageRank is in violation of Google’s webmaster guidelines and can negatively impact a site’s ranking in search results. I then saw a report saying that Google has indeed penalised the Daily Express. I checked the page rank of the Daily Express home page here and found that it is indeed lower than could be expected. While it is difficult to say what the page rank should be, Alexa shows the Express site as among the top 15,000 worldwide and in the top 1000 in the UK, with over 4,000 incoming links. Although the Daily Express is not to my taste, I have misgivings about this process. A significant proportion of web traffic comes via Google, and lower search rankings have a direct effect on traffic and therefore business. Exactly how Google determines search rankings is a commercial secret, even though the gist of how it works is well known. There is not much you can do if mistakes are made, other than to complain to Google and hope someone pays attention to you. There is nothing illegal about selling paid links, and the article highlighted in the Express is marked as “Sponsored”. While it is right for Google not to count these links as genuine recommendations, I am less sure about whether there should be additional punishment for running them. It puts too much power to make and break other companies into the hands of Google. Of course we don’t know if the low ranking is a result of the paid links or not; that is speculation. Nor do we know how closely the published page rank corresponds which how Google actually determines the order of search results. Looking at Alexa’s report, there’s no conclusive evidence of declining traffic, though Alexa’s figures are based on a relatively small sample. Still, I get a ton of these paid link requests and this kind of story makes me glad that I always turn them down.